Living off the grid does not mean that stereotype of hippies and messy caravans. It’s actually far from it. With today’s advances in tiny houses, off grid living is comfortable, easy and fulfilling. Off grid living utilized natures resources and makes the most of the simple things in life. It’s about moving naturally with the seasons, growing produce, saving energy and living more sustainably. It doesn’t look like that hippy stereotype. It looks like modern simplicity and natural style. Changing lifestyles from cities or suburbia to off the grid requires a change in mindset. It’s not just a physical move, it’s a lifestyle change. It may involve changing habits and reducing materialisation. It may not come naturally at first, but it’s one of the most fulfilling changes you could make. You might have to say goodbye to all that unnecessary clutter you’ve grown stuck to, but there are countless benefits of minimalism. Not only is living with less more fulfilling, it’s cheaper, easier and much more environmentally sustainable. 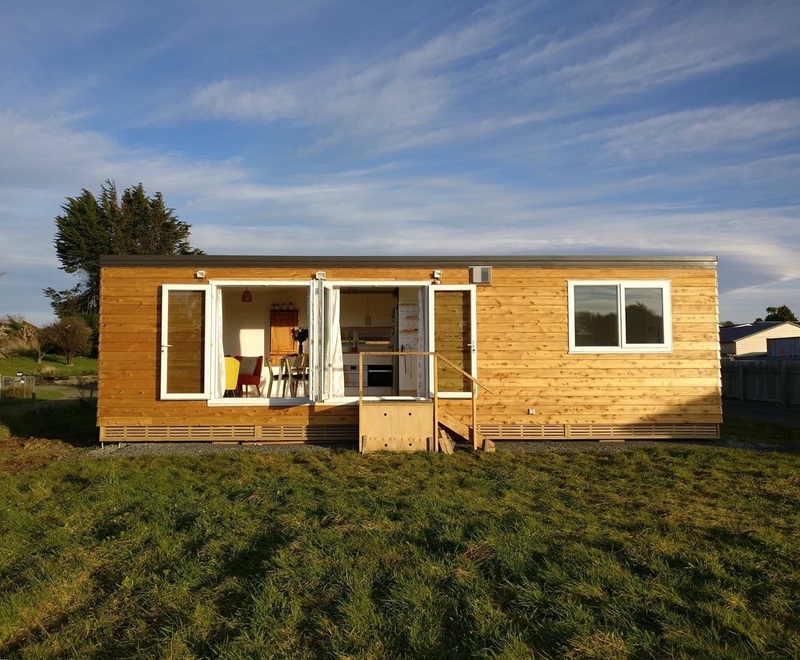 Living off grid in a tiny home has so many environmental benefits. Your energy consumption is significantly less and there are so many extra features of tiny homes that make living more sustainable. This includes extras like solar panels and heating, composting toilets and natural heating and cooling. There is also plenty of opportunity to grow your own fruits, veggies and herbs helping you to sustain you and your family on your own. It’s incredibly fulfilling-- and not to mention tastier than shop alternatives! So what does off grid living look like? It’s simple, happy and rewarding, but still modern, sleek and even trendy. Living off grid is a much easier lifestyle choice. It has less clutter and unnecessary materialism, so there’s more room for simple enjoyment. Off grid living is greener than any other alternative. So not only is it enjoyable, it’s sustainable. If you think off grid living may be for you, talk to us today about your housing options. We’d love to get you off the grid and living the life you deserve! Newer PostCan I Still Enjoy Hot Showers Off-Grid?